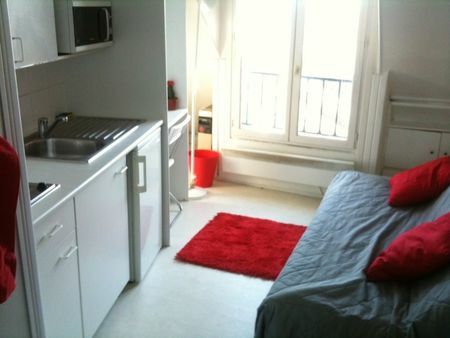 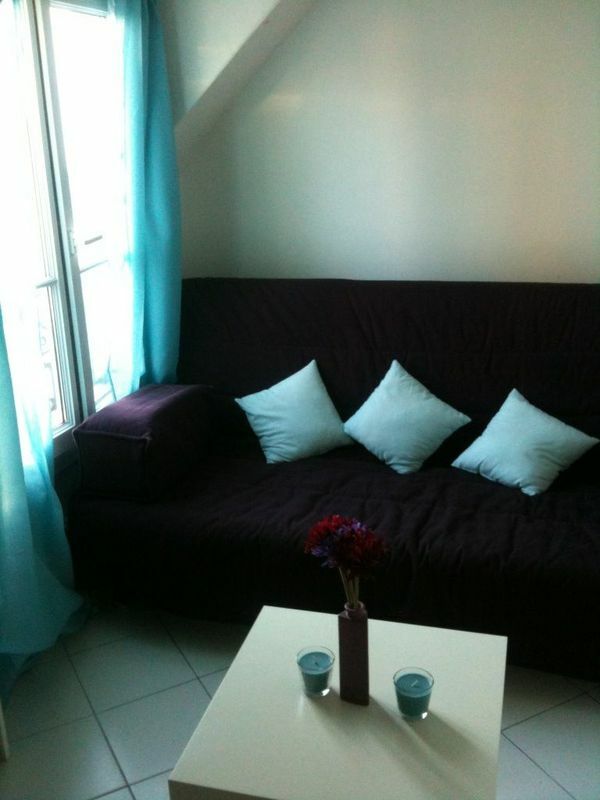 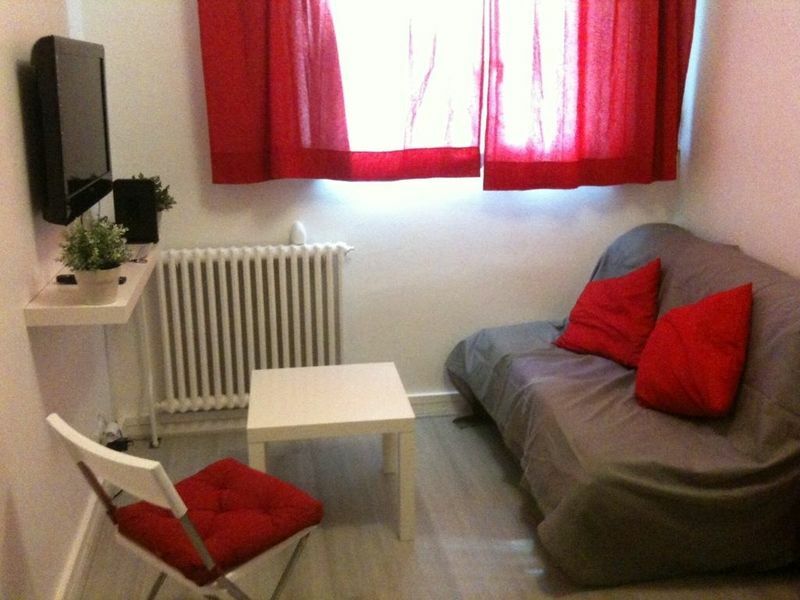 Perfect studio for student in Paris (17th district) is furnished with a desk, and some closets, a bathroom inside (shower), a kitchenette (small refrigerator, two electric burners, closets), a sofabed, a coffee table and internet. The WC are shared close of the studio. 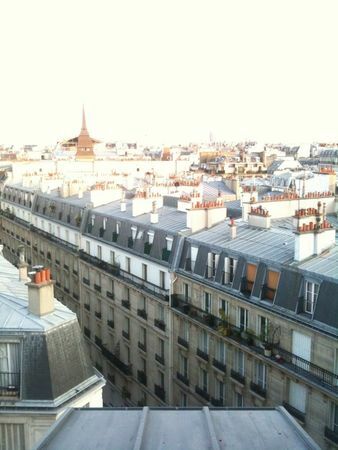 You will enjoy Paris roof tops view (7th floor, without elevator) and Eiffel Tower because of it real window. 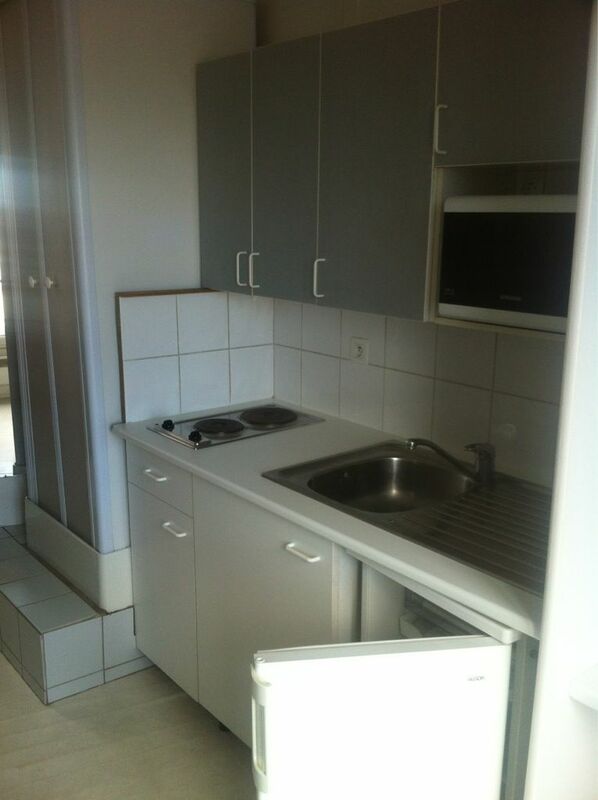 Close of the subway station, you will enjoy the bakery and all restaurants in the corner.